Knee Socks. | Oh Look! It's A Blog! Lots of decor in this post. Been decorating a lot lately (using alllll the prims). The majority of the stuff is from Collabor88, but I also mixed in some Deco(c)rate things. Also there’s a new Glam Affair skin at Lootbox, named Amira. → Tiara: !Oleander ~ Jelly Baby Tiara. Vagabond – Mojave Decal (tintable) * March Deco(c)rate. [Merak] Crate/Bonus Decor w/o Logo * March Deco(c)rate. Stockholm&Lima: Boho Black Out Curtain #5 * March Deco(c)rate. Stockholm&Lima: Boho Black Out Curtain #2 * March Deco(c)rate. 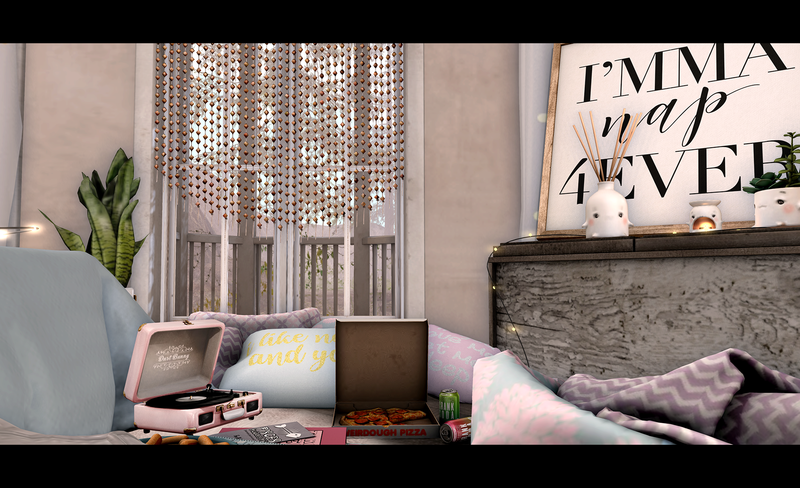 This entry was posted in iheartslFeed, Uncategorized and tagged !Oleander, (fd), ARIA, Atomic, Bento, blog, C88, CatWa, Catya, Collabor88, DecoCrate, Dust Bunny, Floorplan, Glam Affair, Half-Deer, Hideki, Kalopsia, Loot box, Lootbox, Maitreya, March Deco(c)rate., MishMish, Pilot, Random Matter, Second Life, Second Spaces, SL, Stockholm&Lima, The Loft, Trompe Loeil, Truth, Truth Hair, Vagabond, Zenith, [Merak]. Bookmark the permalink. ← Woke up like this.